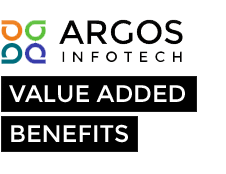 At Argos we have been providing the best possible experience for our clients for over 10 years. Which allows them to focus on their core business missions while utilizing our expertise to scale their business to new heights. In order to augment staff and skills, more cost effectively and efficiently, many businesses are turning to project management or managed outsourcing. A major advantage is the elimination of cost and time in recruiting and training of additional staff.